Find us on Facebook. Log on and search "Little People of America". Our page has the green LPA logo. LPA has a wonderful network of parents, members and professionals who are available to help our members in a variety of different situations, whether it be someone to talk to, or a volunteer to provide a community outreach training for your school. To read about one family's experience in the LPA community, read All in With LPA. Whether you are a parent of an older child or a newborn - you are in the right place. LPA has a network of parents and peers across the United States to help with your questions and concerns. Start by contacting the national office at [email protected] or by phone at 1-888-LPA-2001. 1. 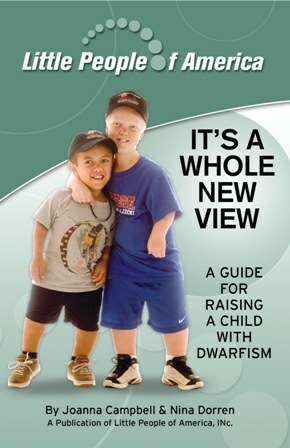 Request or download our publication "It's A Whole New View; A Guide for Raising a Child With Dwarfism". Teachers - this booklet is also good for your needs too. 2. Find your local chapter and district officers. 3. Find a Medical Advisory Board doctor nearest you. Little People of America's Medical Advisory Board is made up of outstanding medical professionals who specialize in dwarfism. You or your physician may wish to contact them for specialized information. Obviously not every little person can be treated by a member of the Medical Advisory Board but many physicians across the United States and Canada are experienced in treating problems related to dwarfism. LPA is in the process of compiling a list of physicians from around the United States who can treat orthopedic, respiratory, neurological, and other complications of dwarfism. Your local contacts should also be able to refer to the best doctors in your area. Be a careful consumer. You will be the strongest advocate for your child and most likely you will end up learning more about your child's dwarfism than your pediatrician. Be ready to learn, and to teach. 4. Print the weight, height and head circumference article for you and your pediatrician. 5. If you are looking for a specific accommodations, like a toy or pedal extensions, check the Adaptive Products page. 6. Join the private Facebook group, LPA Parents Page, and the public Little People of America page. Investigate the on-line Yahoo groups. The two most popular groups are "Dwarfism" and "Parents of Little People 2". 7. If your child has achondroplasia, print "Health Supervision for Children With Achondroplasia". This will help you, your pediatrician, and your insurance company make sure your child receives the right care. 8. If your child is having surgery or anesthesia print "Dwarfs Pathophysiology and Anesthetic Implications." 9. Information about IEP's and School Issues - An IEP, Individualize Education Plan is a document that will allow your child to have the physical accommodations he or she might need. Common accommodations are: more time to pass between classes without penalty, more time on tests if manual dexterity is an isue, a lowered swing or tether ball line, a step stool (portable or permanent) in the bathrooms and at water fountains, easy open door handle levels (not knobs), a light pressure on automatic door closure settings, a lowered mirror in the bathroom, a lowered paper towel dispenser, modified requirements for PE - not necessarily a special PE class. For example instead of running a mile (a common PE requirement) ask for the child to be able to walk/run a half a mile instead, if that is a better fit for the child. PE Teachers have the ability to modify the Presidents Challenge on Physical Fitness and tailor the tests to our kids abilities, allowing our kids to still participate and "pass" the requirement. 10. School Letters - There seems to be two schools of thought on school letters. One is “My child would be mortified if I sent a letter out about her!” The other is “The more I can educate the people around my child the better, so the weight of 'fitting in and explanation' does not fall entirely on her shoulders.” Don’t confuse quietness with acceptance or understanding on the publics part. The decision to use a school letter or not is purely individual and should be made after consideration of your environment and your childs’ personality. 11. Guidelines for creating a 504 plan - Refer to these guidelines for creating a 504 plan for your child. 504 Plans are customized documents that are created by the school and parents, working together to reduce the obstacles your child may face. 12. Accommodations in the School. This Powerpoint Presentation was created for personal use by an LPA family, and contains great information and pictures. Color PDF of Powerpoint Presentation. Black and white PDF of Powerpoint Presentation. 13. Bullying - any child can be bullied, but children with differences are at risk simply because they move different and look different than their peers. Check out our resources on the Dwarfism Support Organizations and Groups page, as well as the Books and Articles > Parenting and Childrens Books page. 14. Starting Points. There are many local resources for people with disabilities and their families that LPA members may find helpful to contact when needing assistance to access healthcare, education, employment, and assistive technology. Download this helpful document. 15. 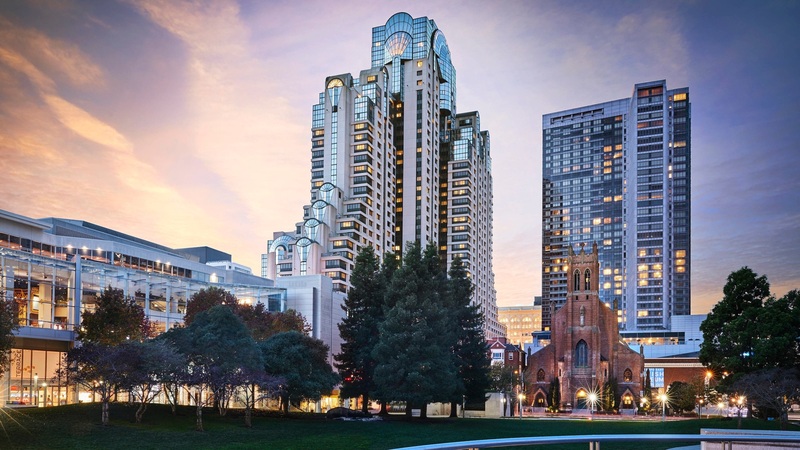 What is LPA and our history? This brief powerpoint explains what LPA does and why we exist. What is LPA? © Little People of America. All material on this website is copyrighted. All Rights Reserved.